Iran Politics Club Forum • View topic - Is Google a Cult? Re: Is Google a Cult? Great piece Cat, spread the word. Shout out to Ahreeman analysis. 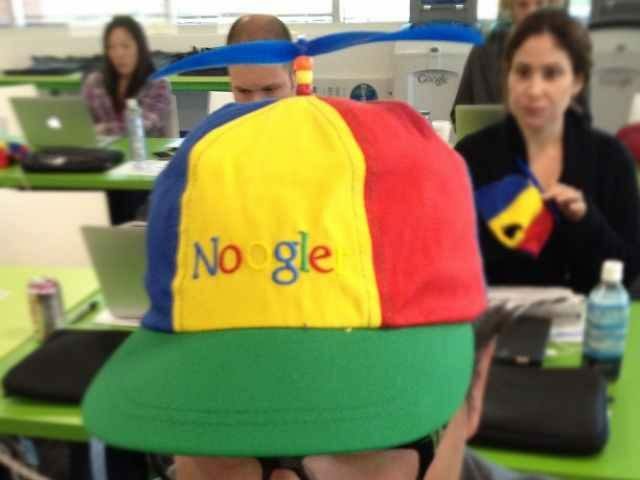 Google Employees wear gay hats and give group hugs! They cry for Hillary losing election and joy for weed legalization. The only thing missing is a bunch of liberal weirdos with hairy legs in girdles and tutus hold hands and sing kumbaya in the Transgender Bathroom! Google is the Geek Squad Joke of a Cult which wants to conquer the world and brain wash its population’s minds. They scream Social Justice but they undermine the American workers by hiring cheap IT Labor from Overseas (India, China, so on). Google screams human rights but they create filtered search and censor system for China Internet! Google undermines Iran and Iranian and is always sexing around with Arabs. Do you guys recall the Persian Gulf scandal of Google? Google is a fake liberal hypocritical organization with no principles, sense of right or wrong or moral justice. $$$ is everything and their God. Google is Anti American and Americanism, so Google is the natural enemy of MAGA and American Patriots. Google is a globalist filthy monopoly which undermines the American worker every day of the week. How come you don’t get us Gay Hats and matching Gay Tutus? You nailed it hard baby. You said it baby. Is Ahreeman gonna get us “Gay Hats” and Long Johns? Beyond the human decency, Google has been shamelessly stepping all over the first amendment and privacy rights. Google has been sacrificing all the rules and common decency for corporate greed and revenue. With the self-righteous sanctimonious face, Google preaches morality to everyone but in action, breaks all the rules, makes profit off of dictatorships and spies on everyone. Google wants to brain wash people to its own brand of social values which are twisted and upside down wrong. Google’s arrogance is beyond belief. Google has way too much power, control and is overstepping the corporate rights, deep into people’s privacy. Google is playing God with people’s free speech, rights, privacy and lives. Government oversight and regulations are needed. If only in one place, oversight is needed then it is with shameless Internet giants and social media overlords who believe that they rule the Internet and people’s say. Tyranny is tyranny, if it is in China, Iran or in cyber space. Tyranny doesn’t come more obvious than what Google does on the Internet. We need standards and fair system models which are lacking now. People have rights to free speech and privacy. Google and it’s illegitimate child, YouTube are suppressing everyone’s rights. It’s often said that the Internet and social media are the new ‘town square.’ Realizing that, the left-leaning Silicon Valley controls and monopolizes that town square. At first, they claimed to be equivalent to the phone company. They provided the platform and access and let the users add the content in the form of free speech. That’s now no longer the case. Clearly Google, Facebook, Twitter, and YouTube are skewing content in favor of the left. In the case of Alex Jones, they said he bullied families involved in the alleged Sandy Hook massacre. He didn’t. He did yell at a CNN reporter (a public figure) who was bent on silencing him. That’s not reason to shut down Alex’s free speech. Yes, Alex does indeed express hatred—for the globalist Deep State and the tyranny it brings. Yet he was also accused by the censors of being a racist, homophobic and other nonsense. His listeners know for a fact that those accusations are not true. Still, the authoritarian left pulled the plug on his social media and will probably try to de-person him altogether. The Deep State and their collectivist media are trying to regain control of the narrative of what is true. They want to again control what people think. They’ve been losing the narrative and the argument. The only way they can win now is to censor conservatives and whistle blowers. It won’t end with shutting down our free speech. PayPal and banking services will be denied to those smeared as ‘hate speech’ purveyors. Not only will their social media access be blocked, their website domains will be pulled. This is probably one of the reasons Obama wanted to hand the Internet over to foreign, globalist hands. What Silicon Valley wants is what China is developing. It’s a ‘social credit’ system that rates citizens based on Internet interactions as well as real life behavior. For example, jaywalkers will lose points and there are cameras everywhere to observe citizens. That’s why facial recognition is becoming a big thing. Bloggers who dare to criticize their communist tyrants lose a lot of points. Those with low scores aren’t able to travel. They aren’t able to buy property. They aren’t able to work. They aren’t able to engage in commerce or exchange digital money. This is what the socialist, globalist left wants for America. A Chinese-style censored Internet and a scoring system that applies to the citizens but not those who own and control the data. We all need to speak out loudly against this—NOW! Otherwise, the voices tossed onto the lefty bonfire won’t end. Your ability to stay focused on issues that affect man’s inhumanity to man is astounding because you do it with balanced objectivity and a great sense of humor. The issue of media indoctrination of the American people to facilitate an agenda to control national elections and achieve a global world order by the powerful rich is an extremely serious one. The identification of a problem is good but it is now necessary for our government leaders to act to preserve the precious right of free speech and a free press. However, the solution needs to go deeper, into the values our children and students are taught. Today, educators have become so liberal that love of country, beliefs in God, and a well-founded understanding of American history based upon truth is being distorted. The problem of indoctrination with false information can be stopped and must be addressed at all levels of education to emphasize integrity, honesty, and truth. As a lover of humanity, I constantly state the command given by Jesus Christ, Love One Another. This command cannot be successful if taught only by religious institutions. That is why values of honesty and truth must be taught in all levels of higher learning. Such an education by our schools and universities will cause people to quickly react to lies that make fools of us. The best way to make wise decisions in life is to attain knowledge based on truth. Truth was the most highly esteemed value of the Egyptians. But it has been corrupted by leaders who seek power by controlling the minds of people. 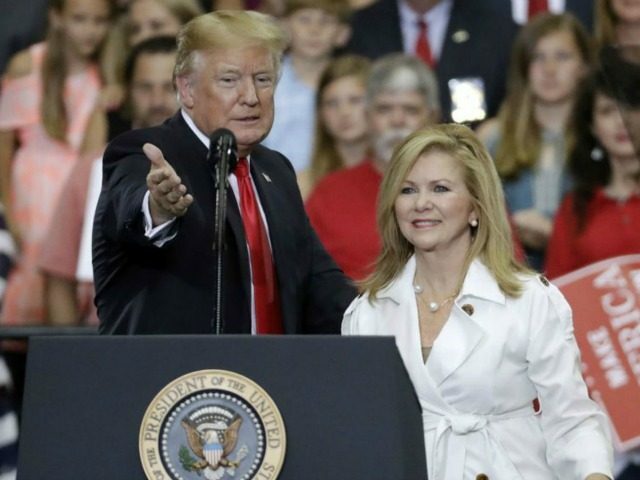 A senior software engineer at Google with responsibility for a key feature of Google’s search engine labeled Tennessee Senate candidate Rep. Marsha Blackburn (R-TN) a “violent thug” and a “terrorist,” who Google shouldn’t “negotiate” with, according to internal emails obtained by Breitbart News. The employee also defended the censorship of her campaign ads on social media. The comments took place in an internal email discussion that began on June 19 this year. The topic of discussion was Rep. Blackburn’s Fox News op-ed of the same month, which urged Silicon Valley companies to address bias against conservatives on their platforms. Blackburn, who has herself been the target of social media censorship, has been a vocal critic of tech giants like Google, Facebook, and Twitter during her time in Congress. Blake Lemoine, a senior software engineer at Google, was harsher in his comments. Saying the public is being “lied to” by Blackburn, he went on to accuse the Tennessee representative of “causing the deaths of people she claimed to protect” — something he attributed to her work on the anti-trafficking bills FOSTA and SESTA. “Would you be more okay with characterizing it as not being big on acceding to the demands of violent thugs?” asked Lemoine. Lemoine is named in this story because he occupies a key position in the company’s influential search team, as a technical lead on Google’s search feed, formerly known as Google Now. The Google feed’s most distinctive feature is that it sends information to users proactively, using personal data to predict what information users want before they search for it. 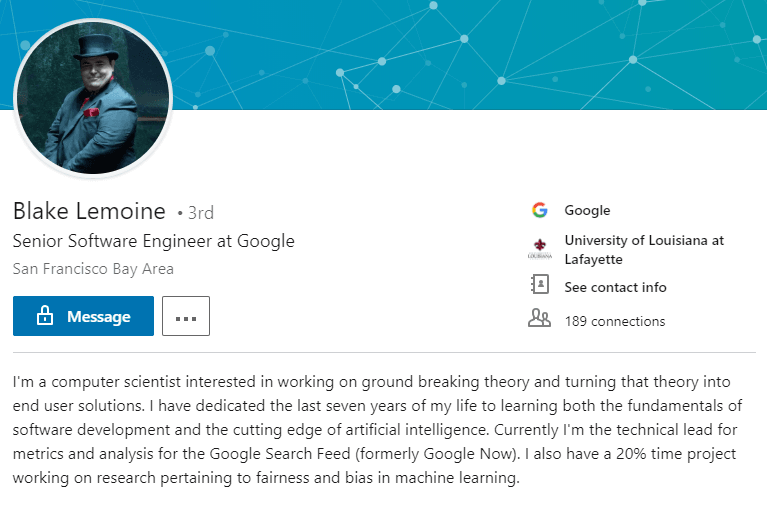 According to Lemoine’s LinkedIn, he also works on “research pertaining to fairness and bias in machine learning,” making his own biased comments particularly relevant. Lemoine also indicated that he supports censorship on social media: he defended Twitter’s decision to temporarily censor one of Rep. Blackburn’s pro-life campaign ads on the platform, arguing that the takedown was not, in fact, censorship. “Taking down libel is not censorship,” said Lemoine. Although Lemoine caveated himself by stating “not all Republican ads are lies,” a question that Lemoine did not address is whether his own bias affects what he sees as “lies,” and whether that bias affects the decisions he makes in his role overseeing a key element of Google search. Independent research acknowledged even by the anti-Trump Washington Post, found that Google search results tended to favor Hillary Clinton in the 2016 election. Research conducted prior to the 2016 election also found that if Google deliberately skewed its search results to favor particular candidates, it could shift the votes of undecided voters by margins of 20 percent or more. Lead researcher Dr. Robert Epstein also says that Google could potentially manipulate its search results without leaving a paper trail, as there is currently no system of monitoring or oversight to detect bias in the platform’s hyper-personalized search functions. 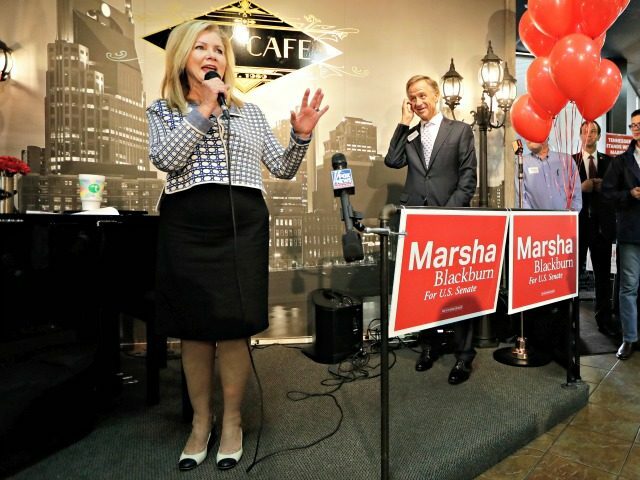 Rep. Marsha Blackburn is currently running in a tight two-way race against her Democratic opponent Phil Bredesen in Tennessee. Even minor bias on the part of tech companies could easily tilt the race against her — unless her voters turn out in high enough numbers to nullify such bias. The threat from big tech notwithstanding, Blackburn continues to be a vocal critic of Silicon Valley’s failings, including political bias and failures to protect privacy. In June, Blackburn came out in favor of new regulation to protect consumers on social media platforms. The Good Censor, Google Style! The first approach is described as a product of the “American tradition” which “prioritizes free speech for democracy, not civility.” The second is described as a product of the “European tradition,” which “favors dignity over liberty and civility over freedom.” The briefing claims that all tech platforms are now moving toward the European tradition. The briefing associates Google’s new role as the guarantor of “civility” with the categories of “editor” and “publisher.” This is significant, given that Google, YouTube, and other tech giants publicly claim they are not publishers but rather neutral platforms — a categorization that grants them special legal immunities under Section 230 of the Communications Decency Act. Elsewhere in the document, Google admits that Section 230 was designed to ensure they can remain neutral platforms for free expression. One of the reasons Google identifies for allegedly widespread public disillusionment with internet free speech is that it “breeds conspiracy theories.” The example Google uses? A 2016 tweet from then-candidate Donald Trump, alleging that Google search suppressed negative results about Hillary Clinton. At the time, Google said that it suppressed negative autocomplete suggestions about everybody, not just Clinton. But it was comparatively easy to find such autocomplete results when searching for Bernie Sanders or Donald Trump. Independent research from psychologist Dr. Robert Epstein also shows that Google search results (if not autocomplete results) did indeed favor Clinton in 2016. Twice in the document, Google juxtaposes a factoid about “Russian interference” in American elections with pictures of Donald Trump. At one point, the document admits that tech platforms are changing their policies to pre-empt congressional action on foreign interference. The document did not address the fact that, according to leading psychologists, the impact of foreign “bots” and propaganda on social media has a negligible impact on voters. It is unclear for whom the “Good Censor” was intended. What is clear, however, is that Google spent (or paid someone to spend) significant time and effort to produce it. According to the briefing itself, it was the product of an extensive process involving “several layers of research,” including expert interviews with MIT Tech Review editor-in-chief Jason Pontin, Atlantic staff writer Franklin Foer, and academic Kalev Leetaru. 35 cultural observers and 7 cultural leaders from seven countries on five continents were also consulted to produce it. What is also clear is that many of the briefing’s recommendations are now reflected in the policy of Google and its sibling companies. For example, the briefing argues that tech companies will have to censor their platforms if they want to “expand globally.” Google is now constructing a censored search engine to gain access to the Chinese market. The document also bemoans that the internet allows “have a go commenters” (in other words, ordinary people) to compete on a level playing field with “authoritative sources” like the New York Times. Google-owned YouTube now promotes so-called “authoritative sources” in its algorithm. The company did not specifically name which sources it would promote. Read The Good Censor in full below. Alternative download option available here. A plan known as the Fairness for High-Skilled Immigrants Act, introduced in the Senate by Sens. Mike Lee (R-UT) and Kamala Harris (D-CA), as well as Reps. Zoe Lofgren (D-CA) and Ken Buck (R-CO), would eliminate the U.S. country caps in the legal immigration system and would fast-track outsourcing of white-collar American jobs to mostly Indian and Chinese nationals imported to the country by businesses, outsourcing firms, and multinational corporations. Big Brother is tracking you and watching your every move. The country caps were originally implemented to prevent any one country from monopolizing the legal immigration system. Eliminating the country caps would immediately fast-track up to 300,000 green cards, and eventually American citizenship, to primarily Indian nationals in the U.S. on the H-1B visa, so long as they agree to take high-paying, white-collar jobs from Americans. In the process, not only would other foreign workers be crowded out from receiving employment-based green cards, but the elimination of the country caps would fast-track the outsourcing of high-paying American jobs that would otherwise go to U.S. graduates. 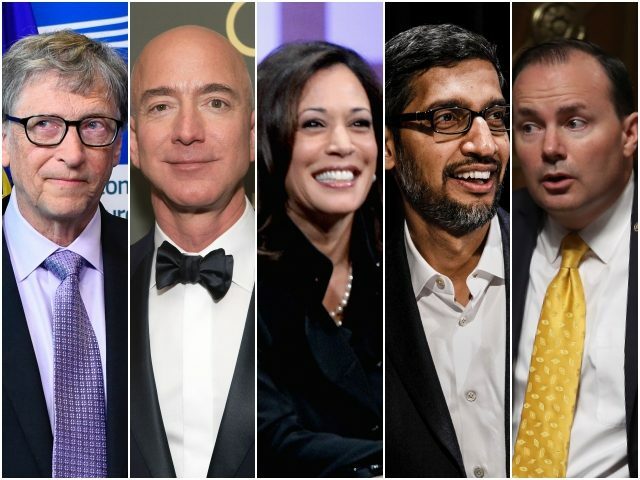 The plan is garnering support from Silicon Valley tech executives like Google’s Sundar Pichai and Microsoft executives to donor-class heavyweights like Amazon’s Jeff Bezos, the U.S. Chamber of Commerce, and the billionaire GOP mega-donor Koch brothers. Amazon executives went as far as to post online their gratitude to Lee and Harris for introducing the white-collar outsourcing plan. On Lee’s Senate website, he touted the support that the plan has from across the political spectrum, ranging from pro-outsourcing outfits like the Information Technology Industry Council to open-borders organizations like UnidosUS, formerly known as La Raza. In 2017, when identical legislation was introduced, outsourcing firms like Cognizant — which is responsible for outsourcing thousands of American jobs to foreign workers — lobbied lawmakers to support the plan. Other multinational corporations like IBM, Oracle, Cisco, Intel, and Hewlett-Packard lobbied Congress to pass the legislation. The plan is a boon to Silicon Valley billionaires, big business elites, and outsourcing firms, as it would enable them to readily import more lower-paid Indian and Chinese foreign workers to take American jobs, which would have otherwise gone to American citizens. “Just as Indian outsourcing companies and a handful of big US tech companies have gamed the H1B visa system, so too are they now seeking to game the US green card distribution process, and smaller American startups are shut out of the process, unable to access work visas or green cards for potential employees … ” Marie Larson with U.S. Tech Workers wrote. Overall, four million young Americans enter the workforce every year, but their job opportunities are further diminished as there are roughly two new foreign workers for every four American workers who enter the workforce. These foreign workers are imported by businesses through visa programs like the H-1B, L-1, OPT, O-1, and J-1 visas, among others, to replace Americans in the workforce.